Large print hardback edition of the first volume of J.R.R. 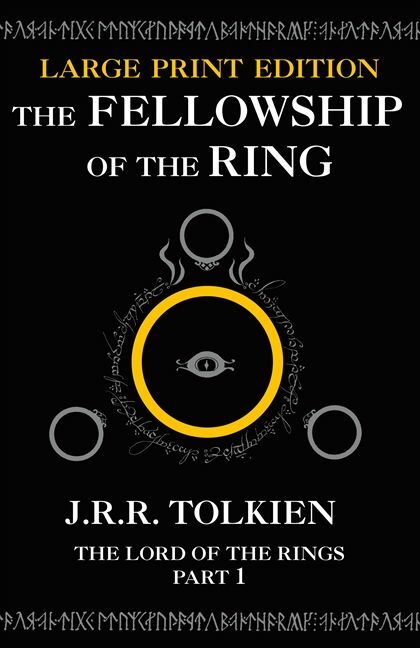 Tolkien’s epic adventure, The Lord of the Rings. Now available in large print and impossible to describe in a few words, J.R.R. 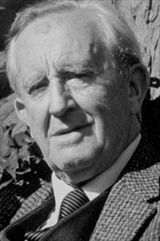 Tolkien’s great work of imaginative fiction has been labelled both a heroic romance and a classic fantasy fiction. By turns comic and homely, epic and diabolic, the narrative moves through countless changes of scene and character in an imaginary world which is totally convincing in its detail.